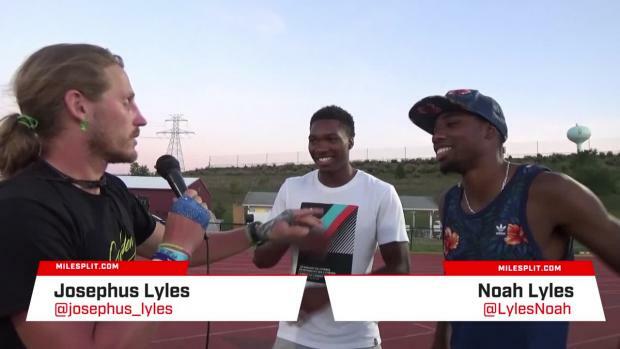 Noah Lyles won the first gold medal of these championships for Team USA. 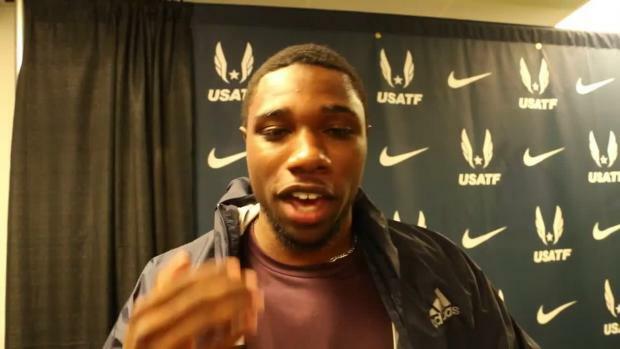 The United States brought home its first gold medal of the IAAF World U20 Championships, thanks to Noah Lyles! Alyssa Wilson also medaled, Katie Rainsberger set a national record. Pre-event favorites Anna Cockrell, Sammy Watson, Aaliyah Miller, Marcus Krah, Candace Hill all advanced to the next rounds of their events --as did Lynna Irby, who dropped her second career sub-52 400m in the semi-final! 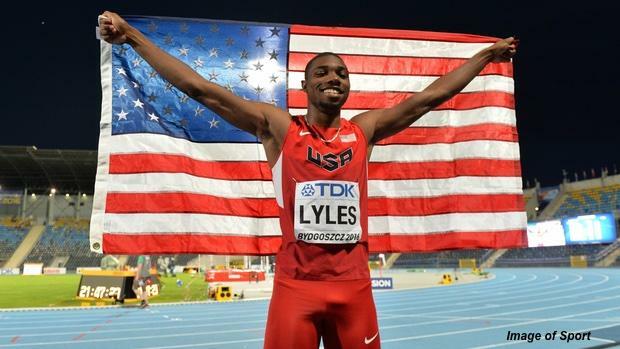 Noah Lyles became the United States' first gold medalist in Poland by taking home the 100m dash title in 10.17. 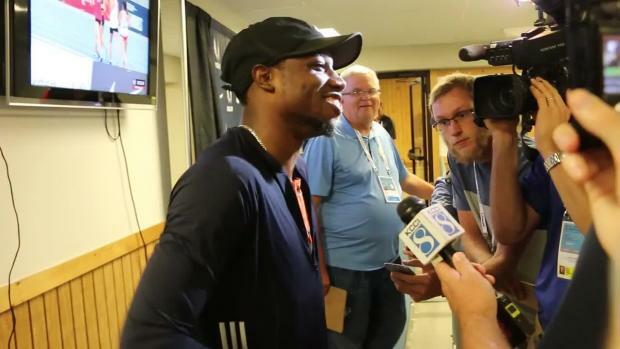 He'll team up with Michael Norman for the 4x100m relay later this week. Watch the race here. 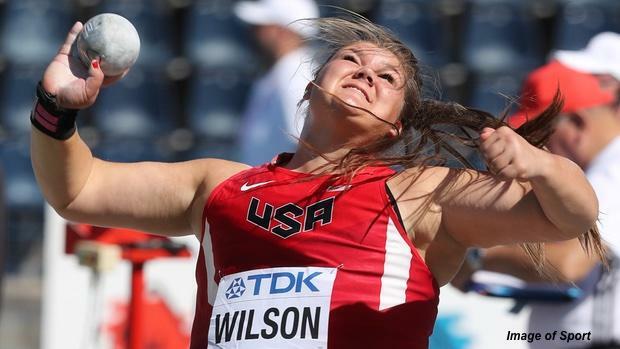 Alyssa Wilson had a tough shot put semi-final during the morning session, in which she made the finals qualifier only with her very last throw. She mentally regrouped and came back in the afternoon session to throw 16.33m/53-7 on her second. Her other two throws were not valid, but her final mark was good to earn bronze. Katie Rainsberger set a new outdoor national record in the 3K with her final time of 9:00.62, good for seventh overall in the 3K finals. Germany's Konstanze Klosterhalfen, the European junior cross country champion, took charge of the pace from the gun and led the field through 1K in 3:03.98 and 2K in 5:59.96. 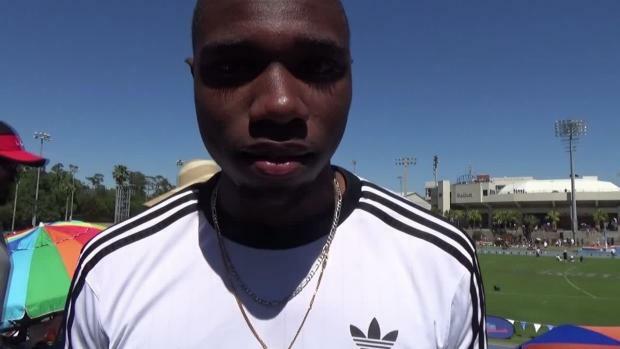 At the bell, Ethopian 17-year-old Beyenu Degefa made a big move (30 seconds for the final 200m!) to come home in 8:41.76 and set a new championship record. Dalila Abdulkadir Gosa of Bahrain ran 8:46.42 for second and Klosterhalfen held on for third in 8:46.74, a new junior national record. America's Katie Rainsberger ran within the top eight for the entirety of the race and ultimately finished seventh with a new PB of 9:00.62. 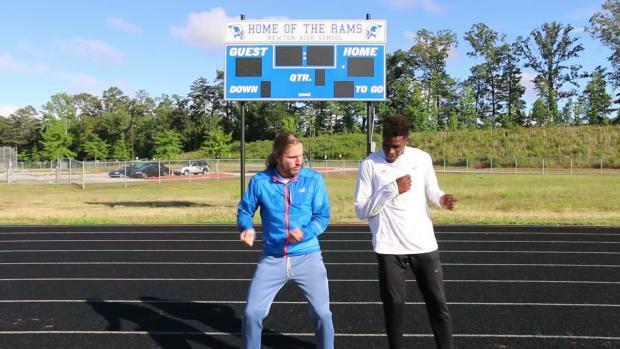 The time is a new outdoor national high school record for 3K. The fastest 3K time ever recorded by a high school girl was Alexa Efraimson's 9:00.16, run on an indoor track. Kate Murphy, the USATF Junior Nationals champion, faded from the pack with four laps to go and placed 12th overall with a time of 9:17.01. Brooks PR two mile champion Shona McCulloch ran a PB of 9:16.93 to placed 11th, just ahead of Murphy, for Team Canada. For reference, 8:41 equates to 4:41 mile pace. 9:00 is 4:51 mile pace. "There's some really talented people out there. It's humbling to come run these races and realize you may be the best from Colorado or in the country, but there's all these girls from around the globe who are your age and are working just as hard, if not harder, so it puts everything in perspective and makes you want to work harder."